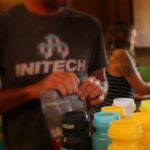 With the 2014 rendition of the Breck Epic just around 50 days away, it was time to throw down the gauntlet of a Breck Epic Training camp. This was the essential moment to take advantage of peak fitness development given the span of just under two months before the event. For this to have maximum return on fitness, we developed a six day training camp, closely matching what we could expect at the Breck Epic. For our efforts, there was no better location than Flagstaff, Arizona. 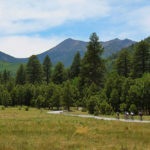 At 7,000 feet above sea level, and having nearly endless singletrack and climbing options, Flagstaff is arguably one of the best places to train both for high-altitude preparation and terrain similarities much like Colorado. 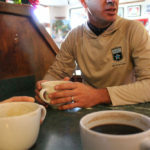 After traveling to Flagstaff, we met up at Flag Bike Revolution to have their expert mechanics build our bikes and to take in some local roasted coffee. Then we set out to “shake out” our legs and work on some skills. 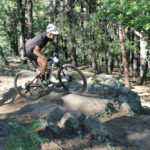 We briefly went over the MTB basics of Balance, Brakes, and Cornering and then moved on to an essential to riding Flagstaff’s technical terrain, step ups and drop offs. Everyone rode well and further increased their MTB handling skill level. This day started with a series of field tests to determine new baseline power measurements for our athletes. 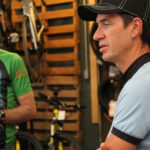 Also it gave our athletes from lower elevations a sense of what to expect when they first arrive at the Breck Epic. After the tests, we put our skills to the test and climbed a series of technical singletracks to end our day with over 5000 feet of climbing in just over 30 miles. 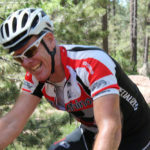 A must ride in Flagstaff, Around the peaks, gave the riders a variety of terrain and challenges. At 55 miles and right at 6000 feet of climbing, it was more a challenge of focus than climbing. The climbing came in two distinct periods in which we used the power data from Day 2 to pace the climbs. We wanted to verify the field tests and also see the ability of each athlete to recover and repeat climbing efforts. 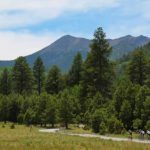 This day provided some of the best scenery as we climbed into the inner basin of the San Francisco Peaks. After two hard days, we took Day 4 on the easy side keeping the climbing to sub threshold power and just under 3000 feet of climbing. 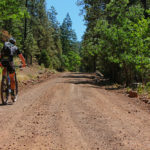 We also utilized many of the dirt fire roads to let the brain and body rest from the previous day’s rocks and roots singletrack. Named for the profile this ride resembles a devils pitchfork as we accumulated over 7000 feet of climbing in 30 miles. 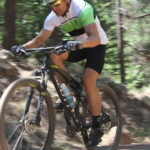 This day resembled much of what we will see at the Breck Epic. We climbed, climbed, and then climbed some more. 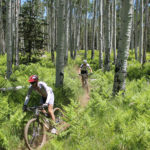 Of course, what goes up must come down so we enjoyed the sweet single track descents that Flagstaff has to offer. Fatigue had definitely set into the athletes after this day. 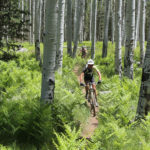 Day 6: Did I say Singletrack? 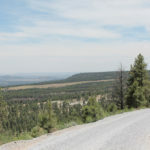 We headed east on this day following the Arizona Trail along the Walnut Canyon rim. The climbing stayed just below 4000 feet total for 42 miles but most of it came in the last 10 miles.  However, this ride had lots of pedaling which gave us the kilojoule totals close to what we will see at the Breck Epic. 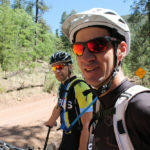 Plus it gave us yet another view of what Flagstaff has to offer with fast sweeping singletrack along a canyon rim. We finished tired but happy and more importantly better prepared for what lies ahead.